These coins were struck at Bucharest Mint. The bronze used for these coins contains a small amount of aluminum (instead of zinc, as MBR claims). The mintage programmed for 1954 was 33.400.000 pieces, but it was only partially executed. 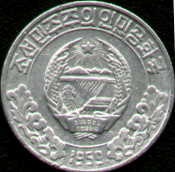 The actual number of issued 3 bani 1954 coins is unknown. 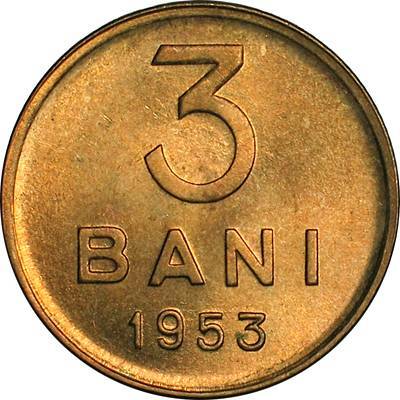 However, the catalog prices are far higher for 3 bani 1954 - even 40-50 times higher - than the prices for 3 bani 1953 coin. 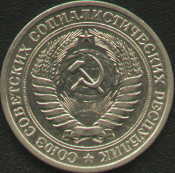 The 3 bani 1954 coin is a key date, one of the rarest and hardest to find coins issued during the communist era. 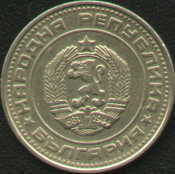 The pictures of the 3 bani 1954 coin above are present on Romanian coins through the kind permission of Mr. Radu Lissner. 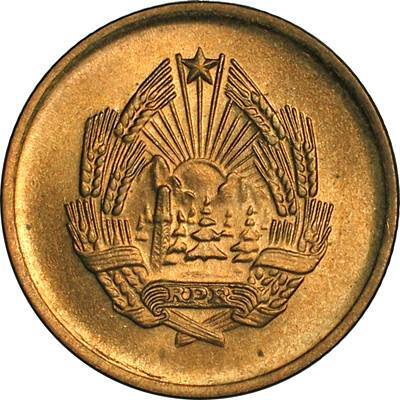 The pictures of the 3 bani 1953 coin above are present on Romanian coins through the kind permission of an anonymous donor.